Imager only: Standard ruggedness and Bluetooth Radio. Kit: Standard ruggedness, includes Base, Power supply, Cordless 2D Imager and No Cable. USB kit: Standard ruggedness, includes Cable, Base, Power supply and Manual. Imager only: Standard ruggedness, special focus. USB kit. Includes 4820 SF Scanner, cordless base (2020-5BE), USB cable (42206161-01), US power supply and power cord (77900506) and system manual. 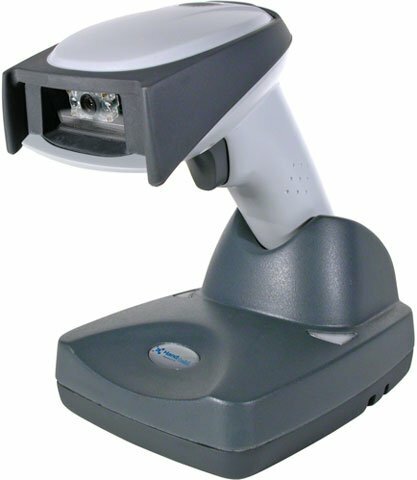 Cordless 2D Imager with Disinfectant-ready housing, Scanner only - requires Bluetooth module (Part# Bluetooth) MODULE-KIT) and charge-only cradle (Part# 2020-CB-AE). Imager only with Disinfectant-ready housing. Order base and cables separately. USB kit with base, cable, power supply and Disinfectant-ready housing. Keyboard wedge kit: Standard ruggedness. Includes 4820 SR scanner, cordless base (2020-5BE), Wedge cable (42206132-02S), Euro power supply and power cord (77900506) and system manual. Keyboard wedge kit: Standard ruggedness. Includes 4820 SR scanner, cordless base (2020-5BE), Wedge cable (42206132-02S), US power supply and power cord (77900506) and system manual. Keyboard wedge kit. Standard ruggedness, special focus. Includes 4820 SF Scanner, cordless base (2020-5BE), Wedge cable (42206132-02S), US power supply and power cord (77900506) and system manual. Kit: Standard ruggedness, special focus, includes Base, Power supply, Cordless 2D Imager, and No Cable.